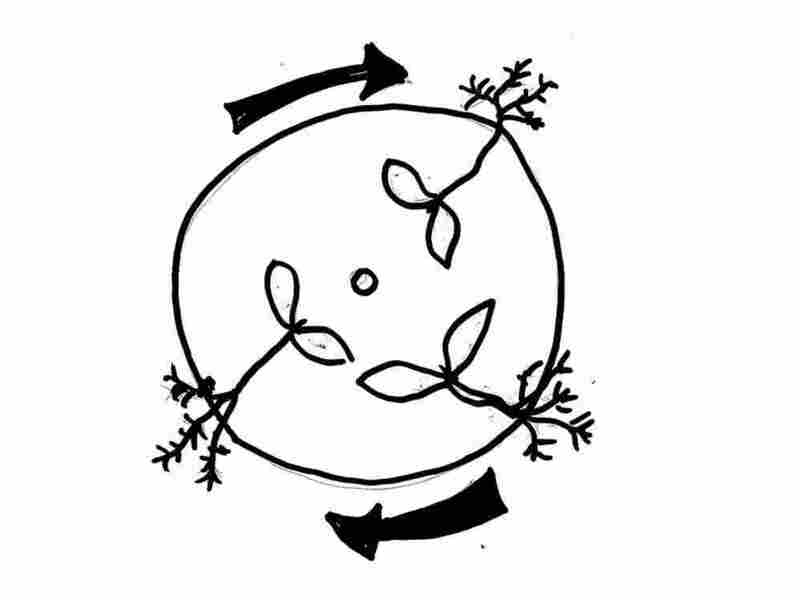 How Do Plants Know Which Way Is Up And Which Way Is Down? 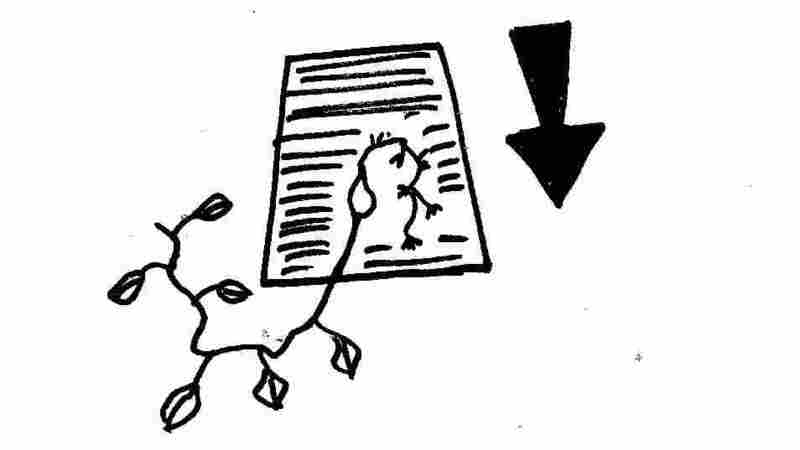 : Krulwich Wonders... Plants have the uncanny ability to send their roots down and their shoots up, even if the seedlings are rotated. The plants are sensing gravity. But how? How do they know? According to botanist Daniel Chamovitz, Thomas Knight 200 years ago assumed that plants must sense gravity. They feel the pull of the Earth. Knight proved it with a crazy experiment involving a spinning plate. He attached a bunch of plant seedlings onto a disc (think of a 78 rpm record made of wood). The plate was then turned by a water wheel powered by a local stream, "at a nauseating speed of 150 revolutions per minute for several days." If you've ever been at amusement park in a spinning tea cup, you know that because of centrifugal force you get pushed away from the center of the spinning object toward the outside. ...that's what they'd done. Every plant on the disc had responded to the pull of gravity, and pointed its roots to the outside. The roots pointed out, the shoots pointed in. So Thomas Knight proved that plants can and do sense gravitational pull. But he couldn't explain how. We humans have teeny crystalline stones floating in our ear cavities that literally sink in response to gravity, telling us what's up and what's down. What do plants have? Strangely, this is a real puzzle. We still don't know for sure how plants do it. There is a team of botanists, John Kiss and his colleagues at Miami University in Ohio, who have a promising idea, but at the moment it's just a very educated guess. Plants have special cells right down at the tip — the very bottom — of their roots. And if you look closely, inside these cells there are dense, little ball like structures called "statoliths" which comes from the Greek, meaning "stationary stone." You can see them here. I think of them as pebbles inside a jar. 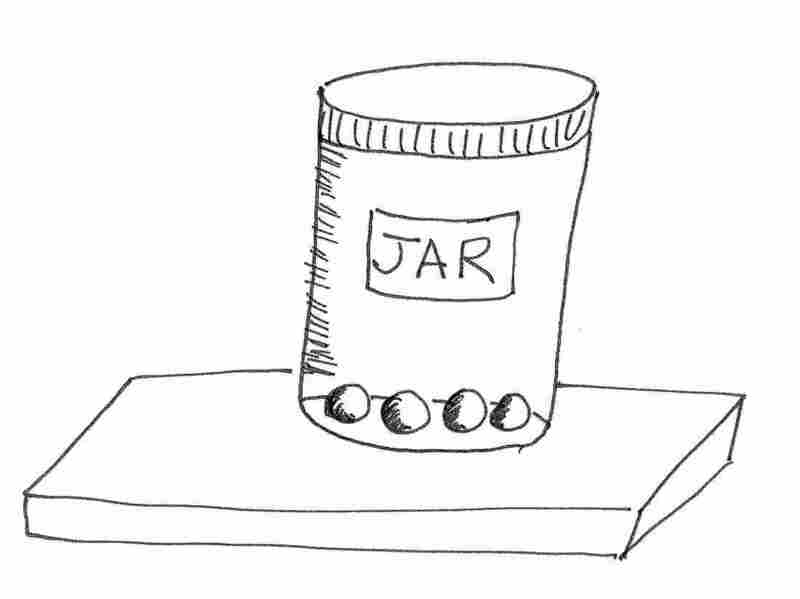 If the jar is upright, the pebbles, naturally, fall to the bottom. 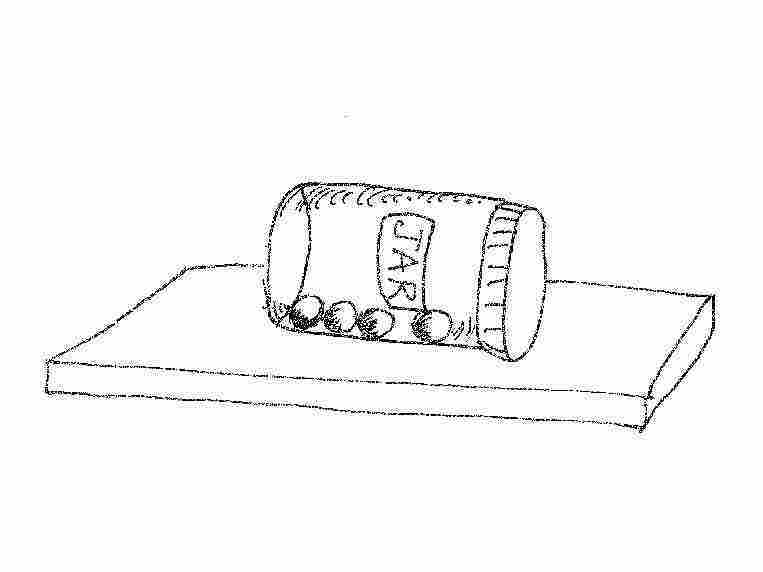 If I put the jar on its side, the pebbles will roll to the side of the jar, the new bottom, and lie there. 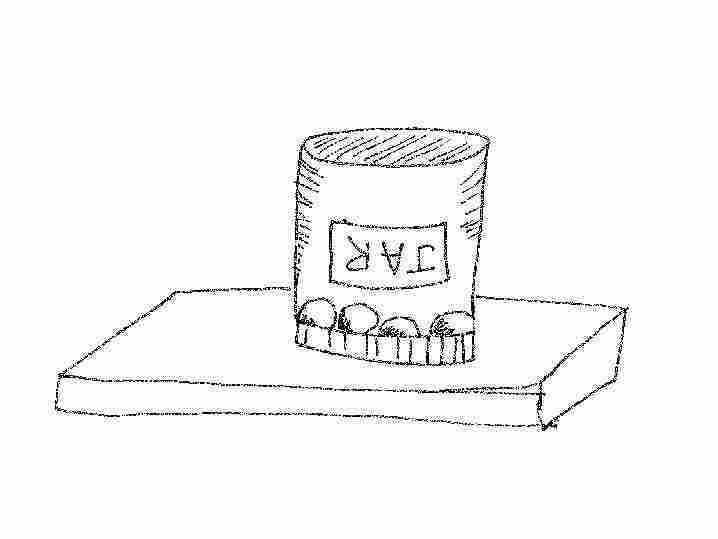 If I turn the jar upside down, the pebbles will drop into the cap, which used to be the top but is now the bottom. Basically these little pebbly things respond to gravity. In a plant cell, gravity pulls them to the "bottom," and once they find a resting place, they can send signals to neighboring cells in the plant essentially saying, "OK guys! We now know where Down is. Those of you that need to go down (root cells), go this way! Those of you who need to go up (the shoot on top), go the other way!" This, suggests Professor Kiss, is how plants figure out where "down" is. 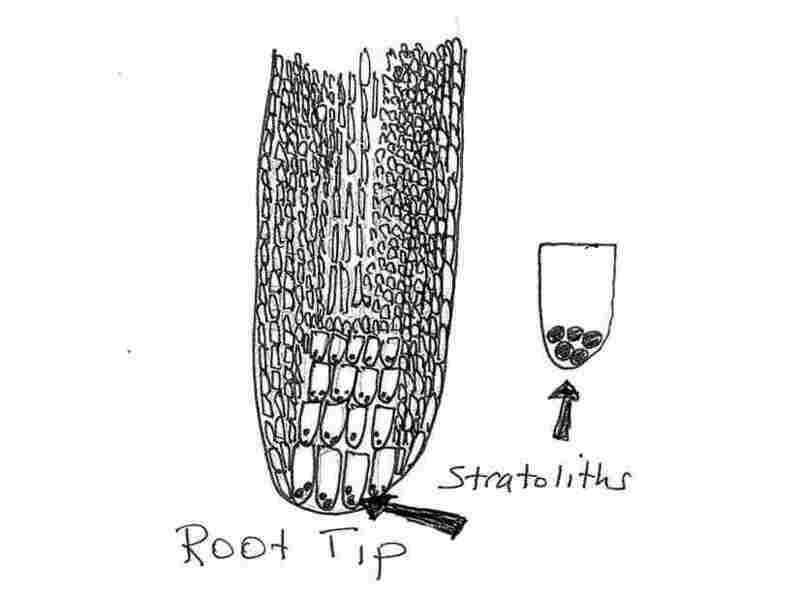 They use little statolith balls as gravity receptors. 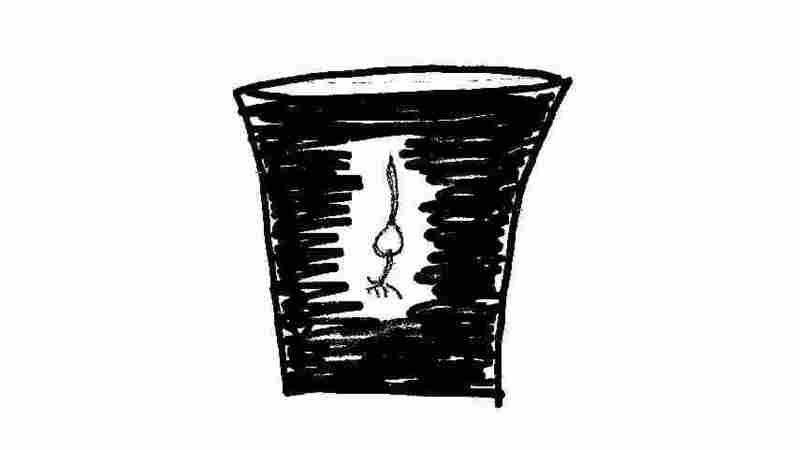 His idea got a boost when he sent some seedlings into space (to the space station) where the pull of gravity is close to zero, figuring if the statoliths just float randomly and don't drop to the bottom of their cells, the plants won't know which way is down. 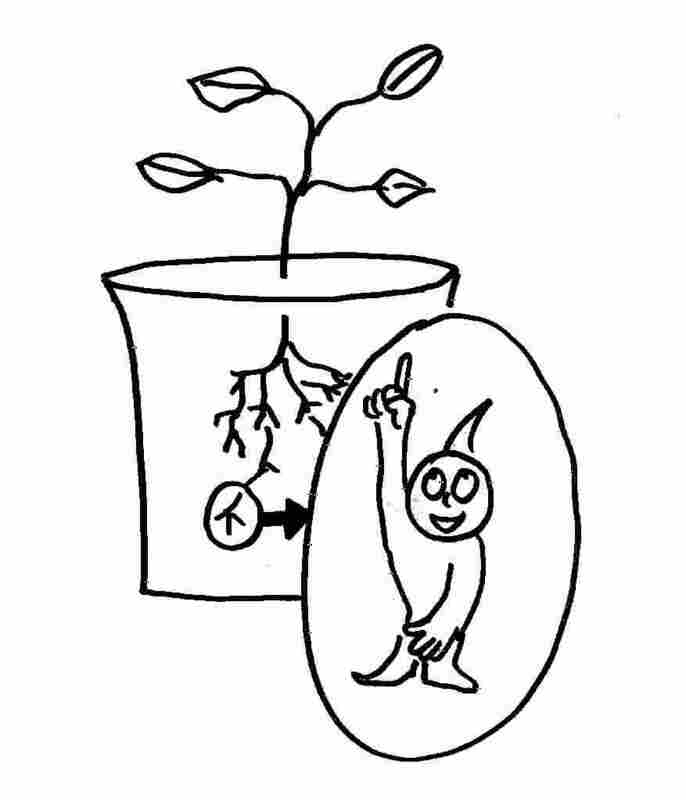 And sure enough, he reported that plants growing in space did not send their roots in any specific direction. The roots just went every which way. So the next time you pass a tree, a flower, a grape vine, grasses, bushes, vegetables any plant that seems to be reaching for the sky, that plant may be going up not just because it wants to be kissed by the sun, but also because down at its bottom, in cells rooted in the Earth, it's got itty bitty rocks telling it, "go thattaway!" Daniel Chamovitz's account of how plants tell up from down comes from his new book, What A Plant Knows: A Field Guide to the Senses. The drawings are my own, and are based on Professor Chamovitz's descriptions. If there's something wrong with them, the fault is mine, not his.